COMPANY OVERVIEW: Hey! I’m Robin, an honorary Yorkshire-man based in Leeds. When approaching wedding photography my aim is to capture your day in a fun, informal and candid way. It's your day not mine, I’m not there to dictate proceedings but to capture the joy and celebrations in a true and personal manner. COMPANY OVERVIEW: Calling all; Fairy-light-lovers, rebels and ravers, dancefloor divas, boho brides with retro vibes, DIYers and upcyclers, mountain climbers and deep sea divers, rule-breakers, thrill-seekers, trend-setters, globetrotters, explorers and those who work to live… All You Need is Love Photography. 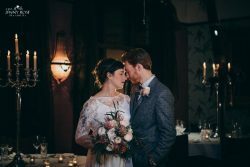 Becki is a North Yorkshire based wedding photographer covering the UK and beyond, because why should distance get in the way of your perfect wedding photos? 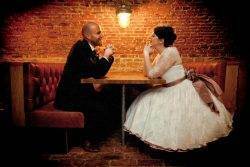 COMPANY OVERVIEW: Amy is a creative documentary wedding photographer for weirdos in love. With a background in fashion and music photojournalism, Amy specialises in unique portraits and non-boring candid photography. 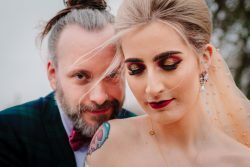 Her casual yet professional approach to her work and her dedication to capturing wonderful and wacky memories is perfect for any unconventional cool as f**k couples. Amy takes pride in being a unofficial BFF to all of her couples and works tirelessly to ensure they have the time of their lives and the photos to prove it. She was also listed in a top 100 UK wedding photographers of 2017. COMPANY OVERVIEW: Andrew is Buckinghamshire based but also covers London and surrounds, with 20 years' experience as a wedding photographer. Naturally captured images, to create memories of those emotional and happy moments. 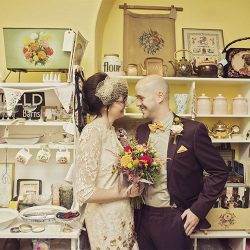 Also offering an alternative Photobooth service in the form of his Vintage Photo Wall. Some typical images are shown. COMPANY OVERVIEW: Big Dream Wedding Films is a small videography partnership specializing in weddings and event videography. Our videographer, Chris, has a keen eye and unique approach giving him a great ability to capture special moments as they happen. COMPANY OVERVIEW: Hey! I'm Charlotte a Cheshire based Wedding Photographer but take commissions from across the UK and abroad. For all the fun loving, romantic and adventurous couples, I love nothing more than to capture all the love, laughter, special moments and creative details that make your wedding day completely unique! 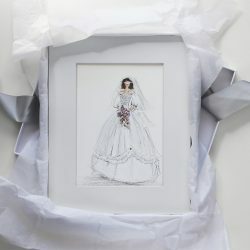 My style is creative yet elegant with a blend of fine art and documentary photography to help tell the story of your big day and capture all those beautiful moments as they unfold. Whether you’re having a barn wedding with wildflowers and wellies or diamonds in a yurt... I promise you romantic, joyful and storytelling images full of emotion which you will treasure. 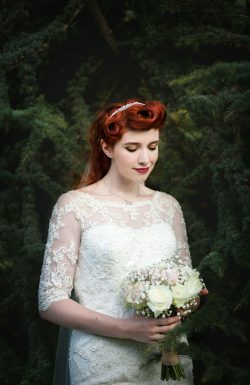 COMPANY OVERVIEW: Daria Nova Photography is nostalgic creative documentary wedding photography based in South West London and Surrey. My style is natural, unobtrusive and gentle. I create beautiful creative photographs with a focus on people and genuine celebrations of love, while melting into the background and quietly capturing your wedding day in a way which feels like you. 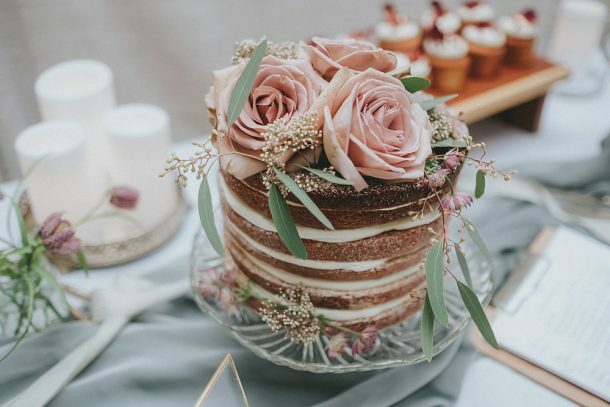 My couples are often planning an alternative or unconventional wedding, and are unafraid to do things a little differently to create a day that’s steeped with meaning. As a natural introvert, I work particularly well with those who are the same themselves. With a little gentle direction from me, we’ll have a brilliant time working together and your photographs will become your most treasured possessions. Whether you’re ready to book me or would like to get to know each other a little better before you book, please contact me and we’ll take things from there. COMPANY OVERVIEW: Life is a series of moments, unique to each person. We exists to capture those real-life, precious moments through beautiful & distinctive portraiture. COMPANY OVERVIEW: Armed with our trusty cameras and a variety of lenses, we aim to record, capture and depict your day as honestly as we possibly can. We want to catch those fleeting smiles, brief glances and passing strokes. Our approach towards photography is that of storytellers, blending into the background in order to capture the day as naturally as possible in our signature, contemporary and considered style. In love with the outdoors and unconventional living, we are based in Yorkshire but take commissions from all over the UK and abroad. COMPANY OVERVIEW: Gemma has a very unobtrusive, documentary style to her photography. Her work truly reflects your day as it happens, she loves to catch actual smiles and laughs and won’t spend hours posing you. With over 10 years experience and continuous development, she is confident and well qualified. 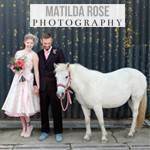 COMPANY OVERVIEW: Matilda Rose is a Kent and London based wedding photographer, but photographing weddings all over the UK. 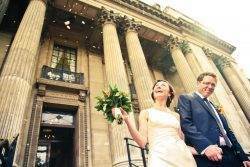 She specialises in responsive, natural, creative and honest wedding photography. Documenting one of the most joyful days of your lives. Carefully capturing the joyful, real moments of your day. Matilda photographs weddings for the story and the emotion, preserving memories for generations to come. COMPANY OVERVIEW: My creative documentary style captures the emotion of your day in beautiful, honest photographs - this is my job and I love it! I'm a fashion photographer turned wedding photographer, documenting weddings all over the UK and further afield, and my background in film photography ensures careful composition and content in each and every image. 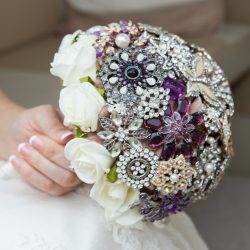 Get in touch to tell me about your special day - I look forward to meeting you! 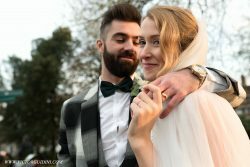 COMPANY OVERVIEW: I love to create unique, quirky and spontaneous one-of-a-kind cinematic HD and vintage Super 8 documentaries, combining the ethereal and the imperfect to deftly capture the soul of your wedding day. COMPANY OVERVIEW: I feel extremely lucky to be able to call what I do a job, capturing moments and memories and being asked to be part of a couples’ special day is an honour. I genuinely love weddings and there is nothing better than being able to ensure all my couples have long lasting happy memories. Documentary style wedding photography is my speciality. Capturing those special, normally unseen moments naturally for you to enjoy for a lifetime. COMPANY OVERVIEW: Shutter Go Click is the artistic alternative to traditional wedding photography & portraiture in Yorkshire & beyond. 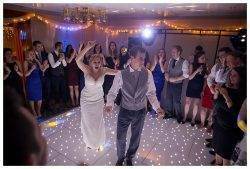 3 professional wedding days with a difference, 3 affordable prices, No confusing pricing structures. Just memories. Drop me an email & we can grab a brew & have a chat about bringing those memories home. 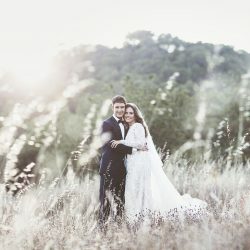 COMPANY OVERVIEW: Wedding days are awesome! SWJ Photography loves them all! A unique day celebrating the adventure you're about to take together. That's where SWJ Photography comes in with a mantra of "Keep it simple!". Just beautiful moments, with wonderful people on a magnificent day, all wrapped up with a creative edge. COMPANY OVERVIEW: Hi I’m Harp (that-thing-you-pluck) and I’m here to help you on your big day. You’ve got the date, decided on the venue and you want to let people know. Lets work together to create unique and personal invitations just for you. I’d also love to capture the day celebrating you as a couple while making sure to record the experience of your nearest and dearest. 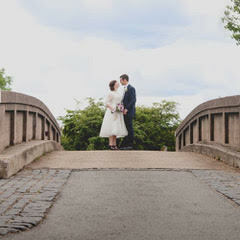 COMPANY OVERVIEW: Victor is a Fulham-based London wedding photographer and videographer. 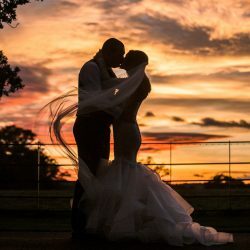 His goal is to offer you the finest wedding photography and videography experience, tailored especially to meet your expectations, creating breathtaking artwork and capturing everlasting memories that will stay with you and your family for generations. 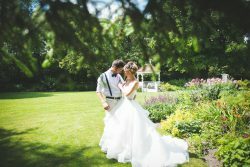 COMPANY OVERVIEW: Jenny Rose Photography is based between Staffordshire and Cheshire but will travel to capture your wedding! She works in an unobtrusive way catching all the moments that make up the story of your day. She may offer subtle direction and will work with the light to create beautiful images with feeling and atmosphere. 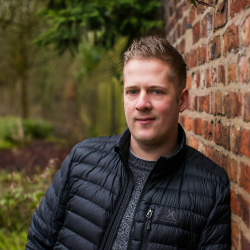 COMPANY OVERVIEW: Matthew Grainger is a multi award winning wedding photographer based in Manchester, covering the whole of the UK and Worldwide. 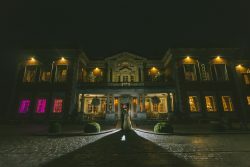 Specialising in creative documentary wedding photography, Matthew captures the real moments from the wedding day with a huge emphasis on beautiful natural emotions. COMPANY OVERVIEW: On Love and Photography are Ben and Giulia, husband and wife, Northerners from two different countries, sharing life, love and work between the UK and Italy.They have been telling love stories since 2012, capturing weddings all around the UK and Europe. Their aim is to create true, natural and timeless images. COMPANY OVERVIEW: I'm Rach, and I love couples who do things differently. I’m a fun, creative, relaxed photographer with a obsession with weddings. I'm all about fun, laughter, and relaxed vibes- capturing all of the fun, crazy dancing and happy tears. 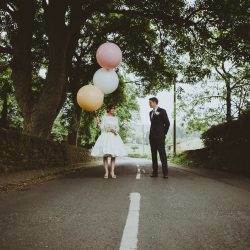 Photography for quirky couples planning your awesome day, your way. COMPANY OVERVIEW: Sarah is a wedding & boudoir photographer based in Huntingdon. 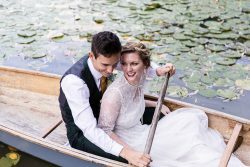 She specialises in natural and intimate wedding photography and loves to produce bright, beautiful and romantic imagery. 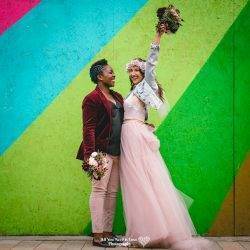 She is an award-winning photographer as well as being featured in many top wedding blogs and magazines. Her warm and friendly nature, holds the key to her signature style. Making you and your family feel comfortable and happy in front of the camera is a characteristic that she is proud of. It is very important to her that you receive a bespoke and quality experience, therefore she only takes a limited number of bookings per year. COMPANY OVERVIEW: Originally trained as a photojournalist, Stephanie provides documentary style, natural coverage of your day as well as help with planning the timetable of your day so that you get all the shots you have dreamed about whilst still spending the most amount of time enjoying your wedding day with your loved ones. Also a bit of a sunset junkie, she knows how to make the most of even the smallest amount of natural light & hopefully catch a sunset – even in Winter! Packages available for coverage of both Bride & Groom prep.